The U.S. Army and Education Center contracted B.R. 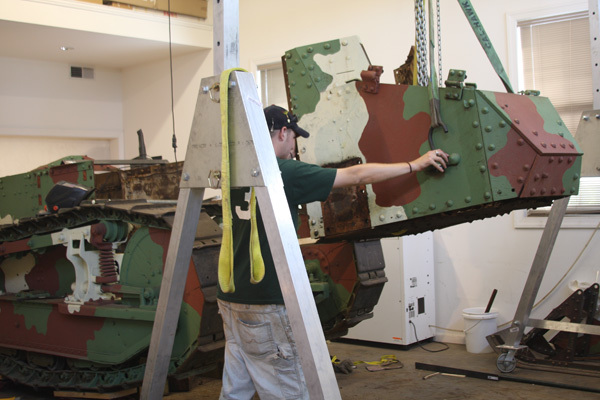 Howard to conserve and restore their WWI M1917 that was beginning to structurally collapse. The FT-17 first entered a battle in May 31, 1918 at Foret de Retz and quickly proved effective against German counterattacks in terrain that the larger heavier tanks were unable to negotiate. 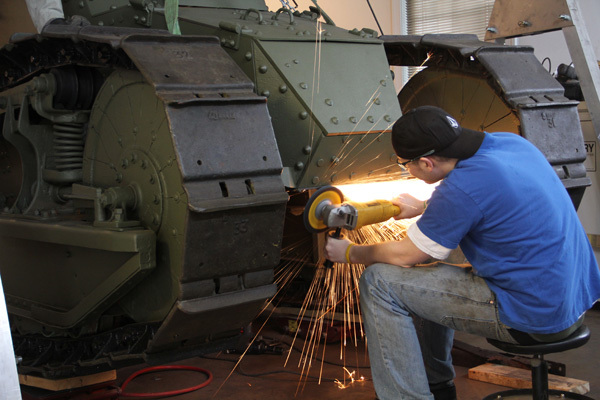 The tank was also built in the US under the name M1917, with some minor design changes. There were roughly 4600 total FT-17 and M1917 tanks produced between 1917-18 and only a few dozen still remain around the world today. The FT-17 was delivered to B.R. Howard & Associates and was extensively photo documented during the entire conservation and restoration process. 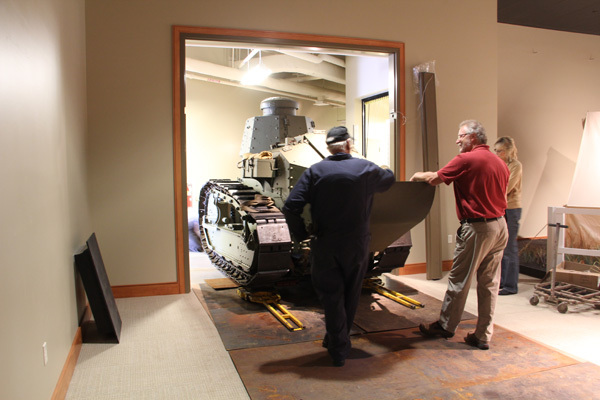 The turret, as well as the front nose of the tank's hull was removed in order to replace the fractured sidewalls and floor plates. Some of the badly deteriorated internal structural brackets also needed to be reproduced. B.R. 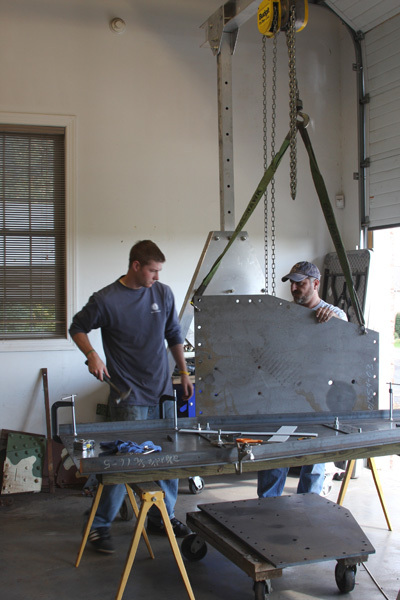 Howard & Associates worked with Master Solutions, Inc. to have the panels and bolt holes laser cut from ½”mild steel to accurately match the damaged originals. The mushroom headed bolt also had to be custom fabricated, as they can no longer be obtained. The missing cannon barrel was also fabricated and installed. 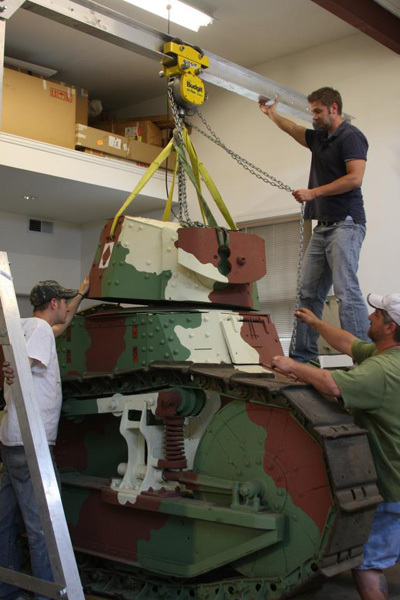 Several missing exterior components were recast using molds that were taken from an original M1917 and FT-17 belonging to the General George Patton Museum and Boalsburg Heritage Museum. 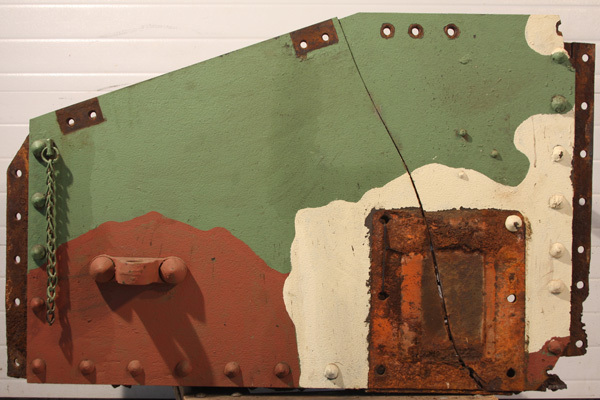 The tank was then reassembled and painted and delivered to the Army for exhibition.